Warm fresh apples cooking slowly while smothered in sugar and cinnamon sounds to good to be true. 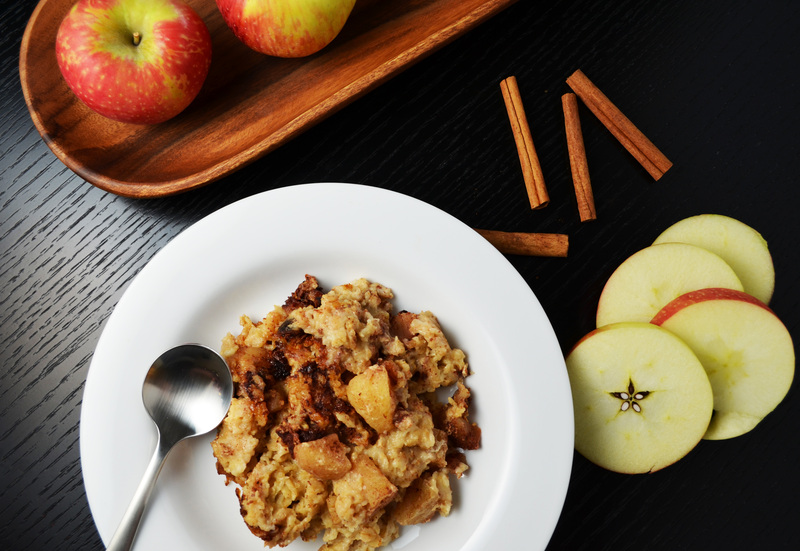 Heavenly is the best word to describe the aroma that will engulf your home when making this Crock Pot Apple Pie Oatmeal! Smells have a powerful way of bringing us back to wonderful memories of childhood. I’m imagining walking into my home following a long tiring day at school to the delectable smell of pot roast with carrots in the crock pot. Now I’m starting to think about yummy banana muffins being baked in the morning, but of course the best smell of all has to be chocolate chip cookies, hands down. The second best smell to perfume my home while cooking has to be apples cooking with cinnamon, like this Crock Pot Apple Pie Oatmeal. The other day when Maxwell walked in the front door after preschool he got a huge whiff of this delicious oatmeal. His curiosity led him to the kitchen so he could see what the “yummy” smell was. I’m all about making foods that smell amazing, continuing to associate happy memories with them for my little ones. We devoured the oatmeal and for a fun activity we stamped apples on to paper using paper rolls and paint. It was a relaxing time in my home, kids were in good spirits and tummies were full on this chilly fall afternoon. If you are looking for an easy delicious oatmeal recipe this fall or just a new way to use all those yummy fresh picked apples look no further. The fragrance in your home alone will put a smile on your face. You can also serve with Fresh Whipped Cream on top for an extra special treat!